Island Music in Hawaii has been on a decline in recent years. Hawaii’s Finest Clothing and Island 98.5 took on the responsibility of contributing their best efforts to revive Island Music. 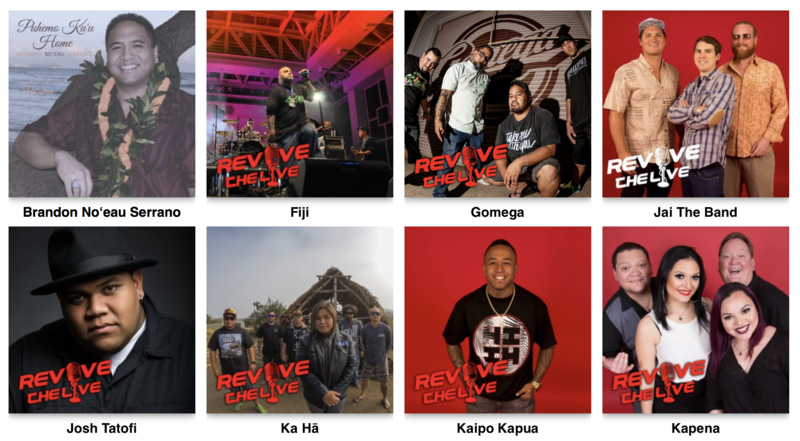 In late 2012, we launched the Revive the Live campaign to bring Island Music back to the forefront of Hawaii’s Entertainment. In our continued effort to Revive the Live, we built a platform where artists, venues and fans can easily connect and interact. This platform makes it accessible for venues to book artists, for artists to share their music with their fans, and for fans to connect with their favorite artists and venues.